Meadors Architecture specializes in both historic restoration and new construction for residential, institutional, and commercial projects. Our diverse architecture team comes from varied backgrounds with unique talents, each bringing a creative new perspective to every project. We focus on engaging and partnering with our clients throughout the design process in order to fully understand and strengthen our projects from start to finish. It is through the interaction with our clients, our surrounding environment, and Meadors's unique collaboration that we find our inspiration. Meadors architects are passionate about what we do, and we embrace the fact that we can integrate our creativity, knowledge, and expertise as part of the larger community within South Carolina and the southeast. Jeremy leads our architectural workshop and is an architect and project manager with experience in the renovation of historic properties and the design and construction of new residences, as well as, large and small scale commercial and liturgical facilities. He received his Bachelor of Science in Design and Master of Architecture from Clemson University. In his 11+ years experience, he explores how developments in technology can shape architecture and construction, and how the two can be integrated to provide the client with the best product in terms of design, construction, management, and execution. Thomas is a designer and project manager with experience in new construction and historic renovations. With 17+ years of experience, his diverse portfolio ranges from residential to large and small scale commercial and retail spaces. He excels in all phases of the design process, from schematic design to design development to detailed construction documents. His role continues into the construction phase with experience in cost estimating, construction scheduling, and construction management. Thomas received his Master of Architecture and his Bachelor of Science in Design from Clemson University. Brittany is an architectural designer at Meadors, and received her Bachelor of Science in Architecture at the State University of New York at Buffalo and her Master of Architecture from Clemson University with a certificate in Community Build. She focused on design+build projects in her education, which has given her the experience to facilitate a project from its conceptual phase to construction. Maintaining a high design standard and implementing sustainable design strategies, while listening to her clients' needs is something she strives for as a designer. Alex is an architect and outdoor enthusiast. When not onsite or in the office, he can be found on the trail or tinkering in the garage. Alex believes design is a process of decision making involving the discovery and resolution of problems for the purpose of creating something that is functional, beautiful, and enduring. In architecture, he strives to create spaces that are timeless and dignifying. His design portfolio includes commercial, residential, and urban projects in diverse locations from Ghana to Cincinnati, and most recently Charleston. He received his Master of Architecture from Clemson University and his Bachelor of Arts in Architecture from Miami University of Ohio. 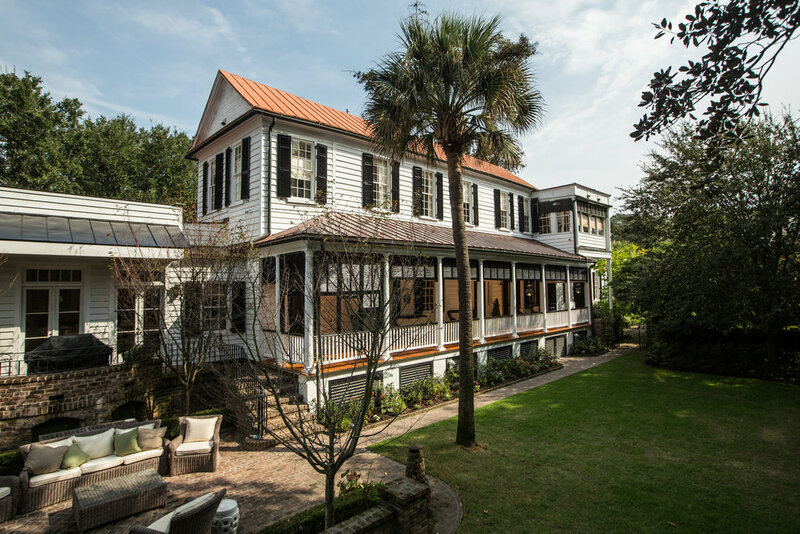 With degrees from University of Georgia and Clemson University/College of Charleston's Master of Science in Historic Preservation program, Taylor’s design process begins with a passion for blending the old and new. It was a love for creativity and the imaginative lifestyle—mixed with a need for structure and organization—that drove Taylor into architecture and design. She has experience in both small and large scale residential rehabilitations and new construction projects, and has also completed some commercial work. With a mile-long list of future travel plans, an obsession with cultural studies, and a genuine love for the simple graces of time, Taylor fuses her interests with history, architecture, and design throughout her work at Meadors. Taylor resides in Greenville, SC and leads our office in the Upstate of South Carolina. Natalie recently returned to South Carolina after living and working in Portland, Oregon and New Orleans, Louisiana. She received her Bachelor of Arts in Architecture from Clemson University and her Masters of Architecture with a focus in Sustainable Urbanism from the University of Oregon. Her design portfolio ranges in scale from working on Public Housing with the Housing Authority of New Orleans to Architectural Restorations to Installation design. Outside of the office, Natalie enjoys hiking, art shows, and eating delicious food. Madden graduated from the University of Alabama with a B.S. in Environmental Sciences and a major in Interior Design. She then worked her way through the design industry in Denver, CO and Atlanta, GA before returning to bring her talents back home to her native Charleston. When not at work she can be found at the beach, though all outdoor activities get equal play. Meredith holds a Masters Degree in Architecture and a Certificate in Historic Preservation from Tulane University. Growing up in south Mississippi and studying architecture in New Orleans, Louisiana gave her a passion for working with old buildings and a fascination with the relationship between new structures and old environments steeped in history. She recently moved to Charleston from Nashville, Tennessee, where she worked on large-scale mixed-use developments that included commercial, residential, and urban design. Outside of the office, you can find her on the beach or biking through Charleston--taking in all that this city has to offer. Jack earned a Master of Fine arts in Interior Architecture and a post baccalaureate certificate in historic preservation from the University of North Carolina at Greensboro. His masters work focused on creating emotional durability in product design and celebrating the touch of the hand in surfaces. At Meadors, Jack is an enabler for those he works with; listening and working with them to ensure their vision is realized. Outside of the office, Jack is a connoisseur of culture and an avid chef. Most frequently you can find him in the kitchen surrounded by friends and family.